Bright.md, developer of a virtual care solution to improve healthcare efficiencies and outcomes while reducing costs for many common health conditions, announced today that two major health systems in the Western United States – Presbyterian Healthcare Services in New Mexico and Providence Health & Services in Oregon – have implemented SmartExam™, making it available to all of their patients in those states. In addition, Presbyterian is introducing Bright.md’s new medically certified Spanish translation services to better serve their patients in New Mexico, where more than a third of the residents speak Spanish. Presbyterian is the first health system to use SmartExam’s unique Spanish translation feature, a critical differentiator in a community where the Spanish speaking population is more than four times the size of the national average. SmartExam offers an option to interview patients in Spanish and provides a real-time, medically certified translation into an English chart-ready note. Patients will also receive personalized educational and care materials in Spanish, improving the patient experience and increasing treatment efficacy. An early leader in remote care that has its own health plan and is moving toward a value-based care model, Providence is expanding its use of SmartExam across Oregon. 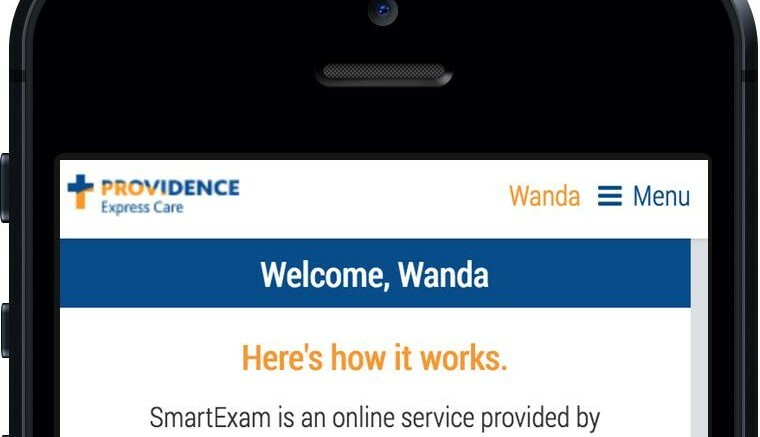 Initially, Providence deployed SmartExam to a small population, comprised of its own employees and other select groups, but quickly saw how the solution could benefit members statewide. Currently available to more than 6 million members across the country, Bright.md’s SmartExam acts as a virtual physician’s assistant, enabling physicians to deliver efficient remote care, cut costs and improve patient outcomes. Patients are able to receive care from their trusted primary care providers using a mobile phone, tablet or computer. The intelligent software dynamically interviews patients, using answers to gather more information and support providers in care delivery. SmartExam leverages artificial intelligence (AI) to get smarter as it learns more about patients’ specific needs and conditions. It uses patient answers and information from the electronic medical record (EMR) system to hone the next question, improving the ability to identify important issues and potential causes, which enable the physician to provide evidence-based treatments. SmartExam’s AI capabilities result in more thorough patient interviews than in-person, or video-based remote care solutions. When combined with the historic information accessed from the patient’s medical record, providers can address patient needs in just two to three minutes, while delivering high quality, evidence-based care. The speed, quality, and efficiency of care has resulted in high marks from patients and providers alike; 90 percent of patients say they would use the solution again, and 88 percent of providers report high satisfaction with SmartExam.